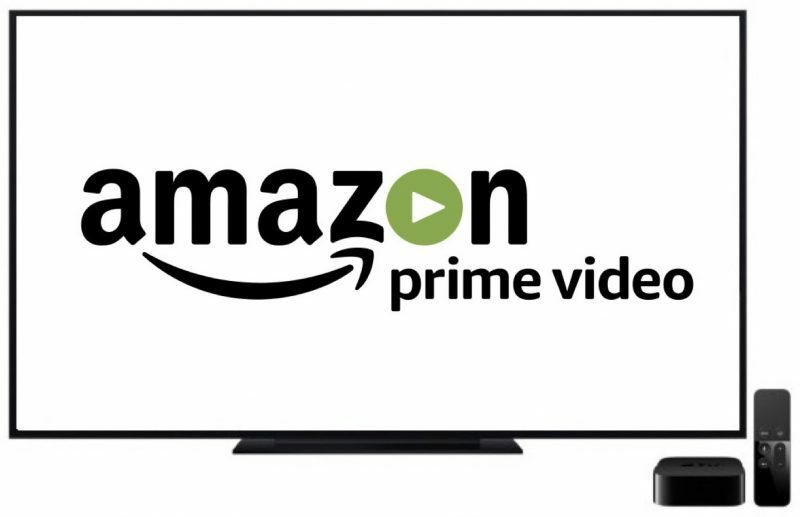 After nearly two years of being absent from the fourth generation Apple TV's app lineup, Amazon Prime Video is reportedly on its way to Apple's set-top box and could arrive for Prime subscribers to download and watch videos as soon as this summer. The news comes from Recode, citing sources familiar with the plans of each company who said that Apple and Amazon are "close to an agreement" in regards to Amazon Prime Video finally being available on Apple TV. Specifically, Amazon employees are expecting the app to appear on the Apple TV App Store sometime in the third quarter of 2017. The sources at the heart of the story didn't divulge what compromises or agreements might have happened behind the scenes for Amazon to come to Apple TV, but those watching and hearing about the backroom meetings believe that such a deal was made "at a high level," meaning company CEOs Tim Cook and Jeff Bezos themselves came to mutual terms to make the deal happen. Amazon and Apple may have reached a truce. The tech giants, who are increasingly competing for customers’ time, eyeballs and money, are close to an agreement to bring an Amazon video app to Apple’s Apple TV set-top box, according to people familiar with the two companies. One year ago, Bezos briefly discussed Amazon and Apple TV at Recode's Code Conference, stating that Amazon always seeks out "acceptable business terms" before it brings its video app to streaming devices. On Apple's side of things, Eddy Cue mentioned in February that Amazon is always welcome to join Apple TV "any time they like," and said that he hoped they will do so "sometime soon." In late 2015, Amazon stopped selling Apple TV devices on Amazon.com, further solidifying the idea that Amazon Prime Video might never arrive on Apple TV. Now, it appears that Apple and Amazon have reached some kind of mutual agreement, the details of which remain unclear. Late last year, Amazon did launch an app for the Apple TV, but it wasn't for streaming movies and television from Amazon Prime, and only allowed users to search for and browse items on Amazon.com. To me the only, thing the Apple TV was missing. Yes. I airplay. but the app will be much handier. Also, we just watched "Fortitude" on Amazon Prime. If you like mysteries in small isolated towns. I rec this show! I'm sure the NFL agreement they have is forcing their hand to more viewers. More viewers = more ads = more money. I for one would like to see an amazon prime video app. Now all Apple needs to do is provide a 4K HDR version of the TV and add a Vudu app. Hopefully "this summer" means a new 4K Apple TV with Amazon Prime app announced at WWDC. About freaking time. The fact that I could AirPlay Prime content from my phone but not watch on a native app was always idiotic and annoying. Dumped amazon prime last year. Too late to swallow the pride amazon. Im not gonna go back. You dumped Amazon Prime as a whole or you just stopped using Prime Video? Personally, I save way too much on shipping costs thanks to Prime to consider canceling it. It's worth far more than $99/year to my family. The Prime Video and other perks are just icing on the cake. Amazon has some truly great series. This is great news! ok - but amazon streams some cool shows in 4K, with my 4K tv's built in smart function does that - but the apple tv doesn't. and maybe I can't tell, etc. etc. etc.... but it's still stupid that the apple TV does have the extra $2 in parts to allow that option to work and make me feel better about my system. I will be absolutely shocked if Apple does not release a 4K Apple TV sometime this year. This was so idiotic to begin with. I am a customer of both. Everyone can be a customer of both. Why would you not offer your app to a streaming device that your customers use (Prime). lol.